Cigarette Save-ior is a cigarette case that holds 5 cigarettes and a mini lighter. 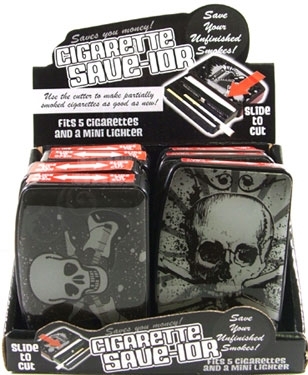 It can also be used to cut unfinished smokes, just slide to cut. 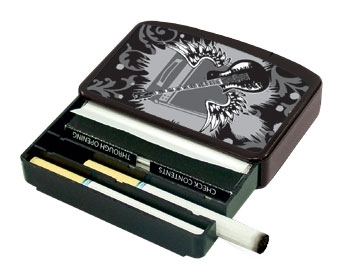 8 cigarette cases in assorted designs come in each display.